I used to watch a TV show that some people may remember called Desperate Housewives – and if you do remember it, you’ll know what I mean when I say that The Perfect Neighbors exudes Desperate Housewives vibes. From the second I picked up The Perfect Neighbors, I couldn’t put it down – it is great chick lit. 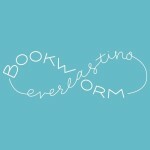 Every woman has a story of her own and I found each one relatable in one form or another. As a mother I know all too well what it’s like to hide in the bathroom and wear t-shirts with snot and milk stains on them. Even the neighborhood the ladies lived in was all too familiar, with the gossip among neighbors and children outside playing together. The story I found the most compelling was Tessa’s. Even though every woman had a story of her own, and her own dilemmas to get through, Tessa carried the biggest secret of them all. Each chapter was short, so finding out Tessa’s full story took until the end of the book. The more of her story I got, the more I was able to piece together what happened. I was hoping I would be wrong so I zoomed through the book in order to be sure. I will say that even though their stories are relatable, some parts didn’t seem realistic. I could be wrong, but I don’t think Tessa’s outcome happens in real life. It wrapped up all too perfectly. Susan’s, Gigi’s, and Kellie’s stories had a more believable ending. At the beginning of some of the chapters were email correspondences called Newport Cove Listerv Digest. I loved reading them. They were hilarious and really helped bring more of an understanding to how great of a neighborhood they live in. I was able to get a perfect sense of just how friendly and helpful everyone was. I really enjoyed reading about Susan, Gigi, Kellie, and Tessa when they were together doing a girls night out, or just being there for each other. It was important they had each other when each one was going through their issue. 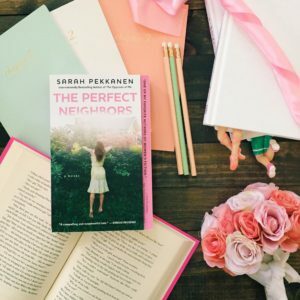 If you enjoy chick lit, female friendships, relatable issues, and some suspenseful moments you should read The Perfect Neighbors. Love your review. I fell in love with Sara after reading Skipping a beat and then read The Opposite of Me and it was even better. I am definitely going to read this book after your review. It is a misfortunate that I don’t see lots of people mentioning her books. I think she deserves more attention☺️. I am definitely going to have to read more of her books because I really enjoyed this one. I’ll start with The Opposite Me. Thanks!